Since 1993, Boyd & Taylor Resources has been 100% women-owned* and family operated. 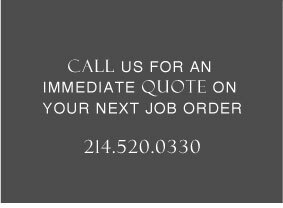 We are a full-service Dallas employment agency that provides both temporary and direct-hire placements to a wide variety of clients. The office is centrally located in Preston Center, which allows Boyd & Taylor Resources to successfully service client accounts located in Downtown, Uptown, Oak Lawn, Turtle Creek, Park Cities and North Dallas. It is usually large national corporations and government agencies that request Women-Owned Business (WOB) certification before awarding D/M/WOB companies with large contracts. Because we are a small agency, Boyd & Taylor’s target customers are not large national corporations or government agencies. Therefore, we have chosen not to become formally certified. However, Boyd & Taylor Resources does meet the requirements of a Women-Owned Business (WOB) as defined by the Federal Acquisition Regulations (FAR). We also meet the more specific WOB criteria requested by the Small Business Administration (SBA). The owners of Boyd & Taylor Resources, Judy Boyd, Katsy Boyd and Brook Boyd are solely responsible for the management, control and daily business operations for the company. Boyd & Taylor Resources is independently owned and operated, and is organized for profit. All owners of Boyd & Taylor Resources are United States Citizens.